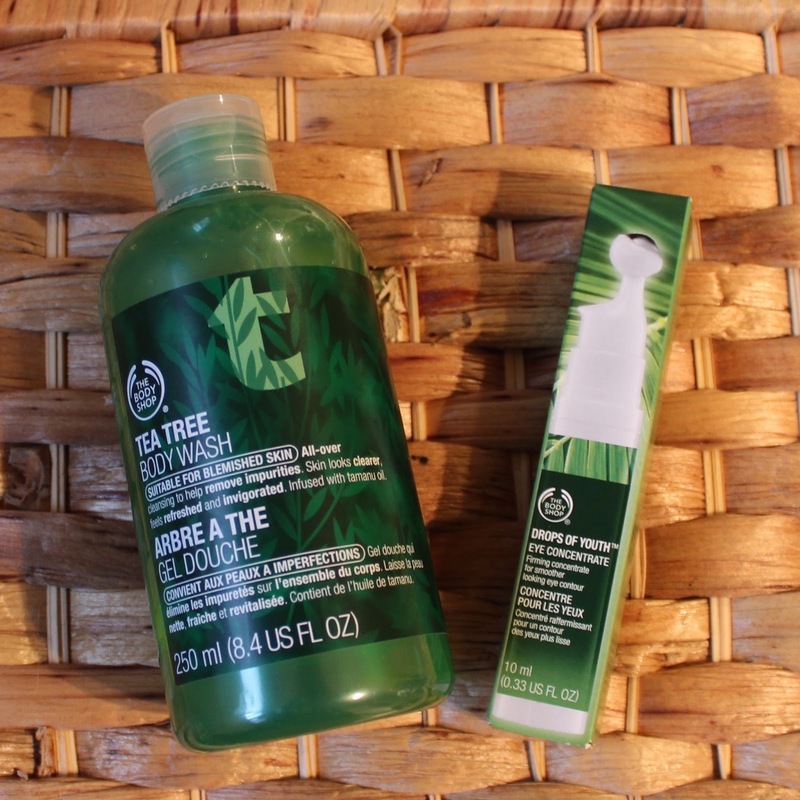 The Body Shop is one of my favourite places to buy skincare. I always feel like I'm doing my face and body a good deed if I purchase their products. I love what they stand for and how their products are made. So recently I splurged a little and bought these two products even though I didn't REALLY need them. This stuff is amazing! I don't always buy it but when I do I feel like a Goddess. Unfortunately I have back acne, especially when I'm stressed out or I don't eat well, but this stuff is a work of magic! After a week of using it my back looks clearer, it's smoother and has less ugly pimples on it. I usually use this once a day with my loofa. One drop goes a long way with this stuff so it'll last you a long time. I really recommend this product if you have problem areas on your body. I bought this stuff on a whim. I previously was using the Neutrogena Hydro Boost eye roll-on and I really liked the roll-on tip. I usually skip the eyes because I'm too lazy but because of the roll-on tip I used it morning and night. After I found out that Neutrogena tested on animals I felt a bit guilty buying a second batch so I went with The Body Shop. I've used this for a few weeks now and the results are pretty amazing so far. My under eye area is more hydrated than before and I don't seem to have as many bumps underneath them either. I really see a huge difference between the two products, this one you can actually see the difference whereas with the Neutrogena serum I was just guessing and hoping something good was happening. I also really like the packaging. It's easy to use and it looks great.